If you could go back to 1912, the maiden voyage of the RMS Titanic would surely be among the last destinations you’d choose. Unless you’re a former British spy, magically given a second chance to relive the terrifying night of April 15th in order to successfully fulfill the mission you failed the first time around, possibly preventing both World Wars in the process. Or if you’re an adventure gamer looking to live vicariously through the ordeal yourself – if you manage to survive, that is. In Titanic: Adventure Out of Time, CyberFlix’s 1996 alternate reality tale lets you do just that. You can admire the meticulously researched, faithfully recreated luxury liner with all the other passengers, but you do have an important task to accomplish before the night is out, some of which will be spent in a race against time as the ship begins its inevitable descent into the icy Atlantic waters. Given the tragic outcome of the journey for its 1500-plus victims, this game isn’t the next-best-thing to really being there… it is much, much better. Digitally rendered from real historical documents and photos, the setting here is the real star of the game, offering a free-roaming virtual tour of the ship’s sights. Puzzles are fairly sparse, but you will need to perform such tasks as disarming bombs, repairing mechanical malfunctions and sending telegraphs using Morse Code. As you begin to interact with numerous other characters, each with their own stories to tell and secrets to hide, it’s important to say and do the right things at the right time. Often there are second chances to correct mistakes, but there are branching paths and multiple endings, not all of them ideal. 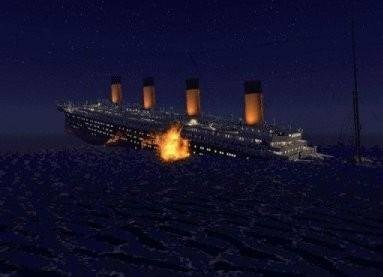 The stakes really soar after colliding with the iceberg, as the lower levels are cut off by rising water levels and the ship begins to visibly list. Between impressive cutscenes showing the disaster from afar, you must hurry to complete your tasks before all is lost. The timed element makes the tension palpable, which is a must under the circumstances and results in a thoroughly immersive endgame. Will you sink or swim, succeed or fail? It’s entirely up to you, and if you don’t like how it turns out, there’s plenty of genuine replay value to reward going back and trying all over again. You sure wouldn’t want to live (or die) there, but this is one Titanic voyage that sure is fun to visit. Really we could just as easily have picked any other Nancy Drew adventure to include in this list. The mind-boggling 25 game series (and counting) has achieved an unprecedented level of success that deserves to be acknowledged, though the formula has remained virtually identical through them all. So why the 11th game of Her Interactive’s longrunning franchise? 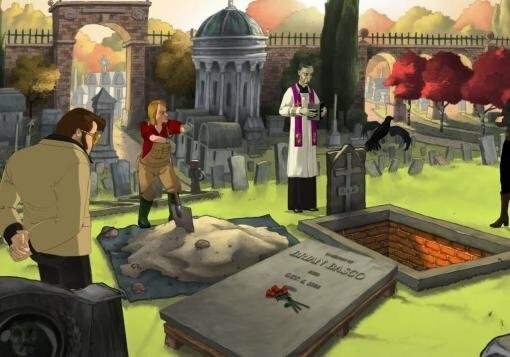 Because Curse of Blackmoor Manor most consistently nails all the elements that go into a great Nancy Drew game: tough, multi-layered puzzles that are well integrated into a story about ancient family bloodlines perhaps mixed with a bit of lycanthropy, a mysterious setting full of visual Easter eggs, lots of information to glean about a fascinating topic (in this case 17th century England), terrific voice acting for all major characters, a surprisingly non-linear pathway to the end, and quite a few scares to boot. As always, players directly guide Nancy in interviewing a colourful cast of characters, including a wealthy second wife who fears she’s been cursed by the beast of Blackmoor manor, an oddly precocious stepdaughter, and a priggish spinster aunt who tends carnivorous plants, among others. 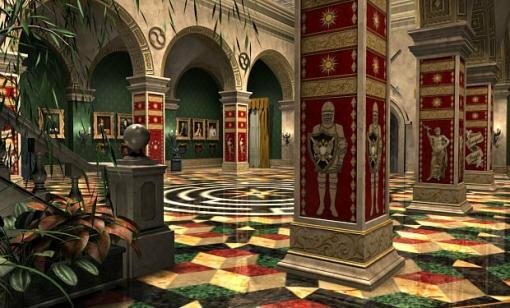 You’ll explore the richly detailed mansion, finding clues everywhere you look, from messages hidden in a family coat of arms to sumptuous wall tapestries depicting scenes from mythology. For this outing, dynamic cutscenes and a smart phone with web search ability were added to the mix. Some enhancements, such as a task list for Junior level detectives, were so successful that they’ve remained in the games ever since. Thankfully, the make-work tasks that bog down many Nancy Drew games are largely forsaken here. Proving that this series isn't just for girls, by 2004 Her Interactive clearly had its teen detective series down to a science, though in the many new adventures since Curse of Blackmoor Manor, none have surpassed it. How does one spice up the classic mystery genre? Easy: set it on the distant planet of Armpit VI and get the same genius who designed the aliens of Mos Eisley’s famous cantina to draw the cast of characters. Directed by Steve Meretzky, Boffo Games’ 1997 The Space Bar casts players as Alias Node, one of the few humans on the planet working as a police officer tracking a shape-shifting criminal who captured your partner. In addition to the usual forensic equipment, your biggest tool is the ability to “mind-meld” with some of the dozens of aliens you encounter; living out a past event in their lives through their perspective. It is this ability that gives the game so many memorable moments. One minute you’re a business tycoon negotiating a ridiculously complicated deal; the next you’re a highly intelligent alien confined to a jar, whose only method of interacting with the world is getting through to your dim-witted alien partner. Later you’re a drug-running alien trying to escape the authorities and get off planet despite your laryngitis, and THEN you’re a robotic sports star trying to get over last night’s hangover in time for the big game. All this comes in between solving the mystery of which of the many aliens surrounding you is the shape-shifter in disguise. The game features a fairly unforgiving time limit combined with puzzles that require a good amount of trial and error, but those who are up to the challenge will be rewarded with a hilarious array of characters and a truly unique adventure. 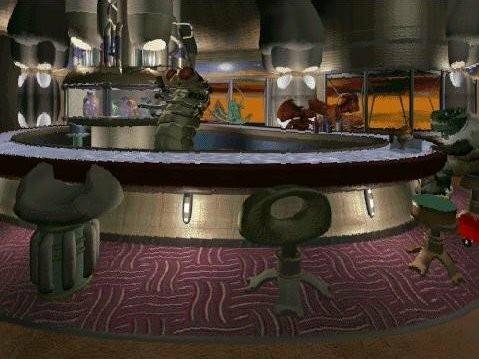 The Space Bar isn’t as famous as most of the games on our list, but it deserves to be remembered as the true classic it is. The first two Runaway installments earned many fans due to their slick cartoon art, comedic road-trip storylines, and catchy techno/pop soundtracks, but niggling gameplay issues prevented them from realizing their true potential. Not so with 2009’s A Twist of Fate, which closed out the trilogy with equally high production values and improved gameplay to match. With striking hand-painted artwork, Pendulo Studios delivered a host of colourful, stylized locations, distinct character designs, and TV-quality cinematics. The finale’s in media res storyline is creatively told, and with chapters alternating between the past and the present, has strong momentum and narrative flow. In a series first, control alternates between feisty ex-stripper Gina Timmins and her boyfriend Brian Basco, who has apparently gone off the deep end thanks to the increasingly ridiculous events he endured in the previous games. The tongue-in-cheek, fourth-wall-breaking humour afforded by this premise makes Runaway’s often unbelievable scenarios much easier to swallow, while its sardonic tone pokes fun at many genre conventions we’ve come to accept but (let’s face it) don’t make a whole lot of sense. Brian’s incarceration in a mental institution, along with the series’ inherent wackiness, combine to make for unusual, outside-the-box puzzles, and the welcome additions of a hint system and hotspot finder mean you’re less likely to be stumped by pixel hunts or nonsensical puzzles. Overall, Runaway: A Twist of Fate is a solidly entertaining experience that puts its own spin on traditional adventure gameplay, and it wraps up a popular but uneven trilogy on a high note. Usually we play adventures because they have a great story or offer challenging puzzles – preferably a combination of both. But some we play as much for their appealing interactive settings and detailed research that can teach us about a certain period, a particular event, or a distinctive culture more than any dry history book ever could, all the while entertaining us as the lead character in our own adventure. 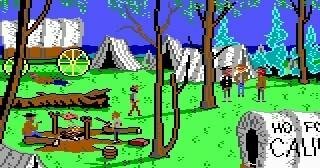 “Edutainment” may be a dirty word these days, but that wasn’t always the case, as Sierra’s 1988 Gold Rush! is just such a game. Sure, like many games of its day it's full of dead-ends and the gameplay can be incredibly unforgiving, but as you follow the heartwarming journey of Brooklyn newspaperman Jerrod Wilson in his cross-country trip across America, you can't help but have a good time discovering a mine full of secrets and interesting facts about the real California Gold Rush of 1848. From the moment the game starts, virtually everything you see can lead to a comprehensive description about nineteenth century customs, and when given the choice of three distinct paths to reach California (in-land stagecoach, ship through Panama or ship around Cape Horn), the amount of evident research that went into detailing the life conditions of the time is simply staggering. It certainly helps that, if you're willing to forgive its now-antiquated graphics and some repetitive gold-panning sequences to reach the grand finale, it’s also a lot of fun to play. Especially when creative use of the text parser is involved, like when Jerrod has to figure out a way to prevent a carriage from tumbling down a slope. It's this ability to strike just the right balance between learning and enjoyment that earns Gold Rush! its place among the all-time genre gems.